Hey guys! Happy new year to all. It's been a long time since I have updated regularly. 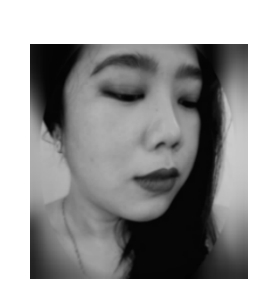 I spent most of the day idly playing with makeup and it made me realize how much I miss it. I'm not sure if I can keep up with new material for the blog but I will try hard to do so as I really do love doing this. 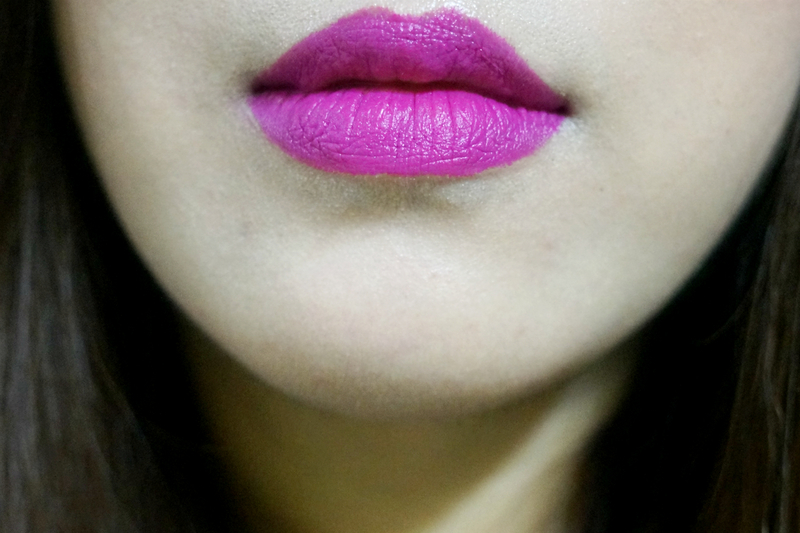 To kick off the brand new year, I chose a super bright, cheery lipstick to review for today. This one is not really in my collection new as I have been using this shade for the past several months. This lipstick is part of the MAC Fashion Lover Lip Kit that I featured more than a year ago (yikes). *Sorry, I forgot to take decent photos before I actually used this one. 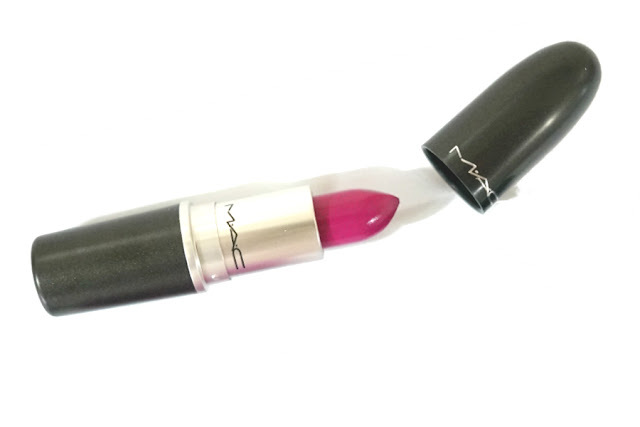 MAC Lipstick in Flat Out Fabulous is described as a "bright plum matte." To say "bright" is an understatement. 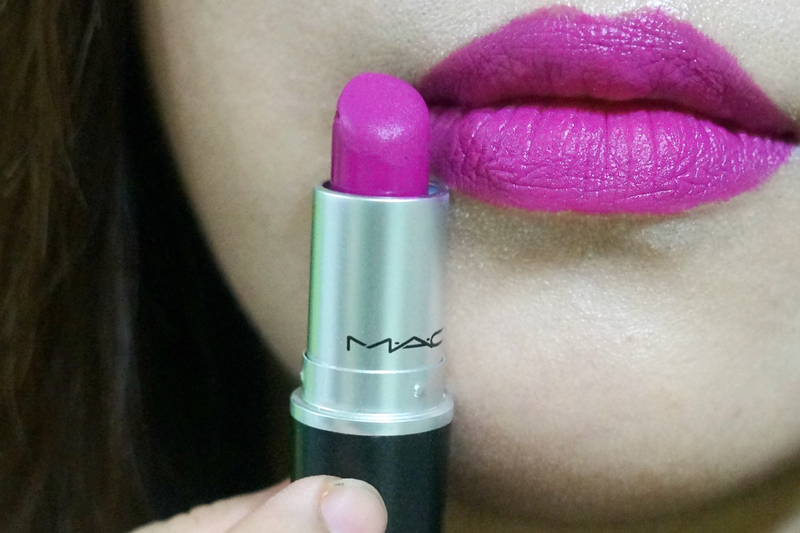 The shade is a (very) bright medium magenta pink with a matte finish.The color is a definite head turner. Whenever I need a pick me up, I just wear this lipstick and it immediately brightens up my face. 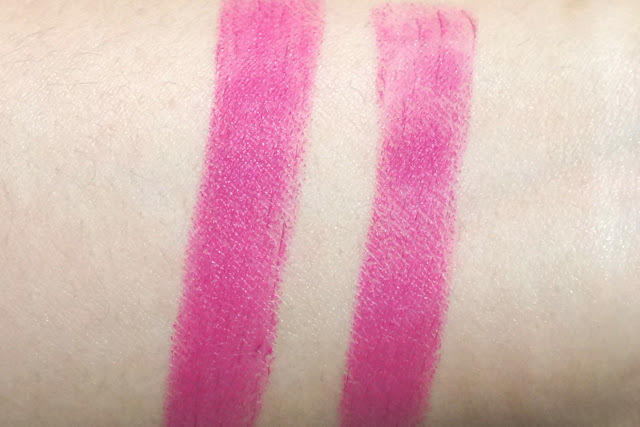 Swatched on my hand, it looks pinker but turns more purple when applied on my lips. Pigmentation is superb, with full and opaque coverage. The color actually stains and it took me awhile to remove the swatch on my arm (soap + cleansing water). Since this is from the Retro Matte range, the consistency is rather dry but (thankfully) not as dry as MAC Ruby Woo. This does pull and drag on the lips but was easier to apply (vs Ruby Woo). 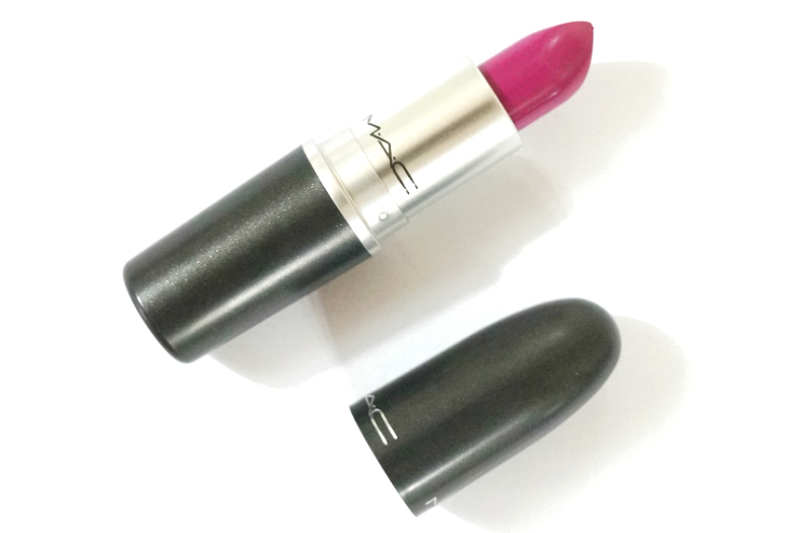 The upside of the more matte formula is that this lipstick wears for a long time. The color stayed on and didn't budge foe several hours and I actually did not need to reapply after a full meal.